Gevonnia M. Thurman, Correctional Officer, Thinking for a Change. Gevonnia M. Thurman joined the Jacksonville Sheriff’s Office in 2004. In 2013, she became a Certified Instructor for General Instructions. She is currently assigned to the Programs Unit where she handles inmate program schedules, is a “Thinking for a Change” instructor at the Montgomery Correctional Center, and Pre-Trial Detention Facility. Officer Thurman earned an Associate of Specialized Technology Degree from National School of Technology in Miami Fla in 1997. She received the Corrections Officer of the Month award in August 2014. 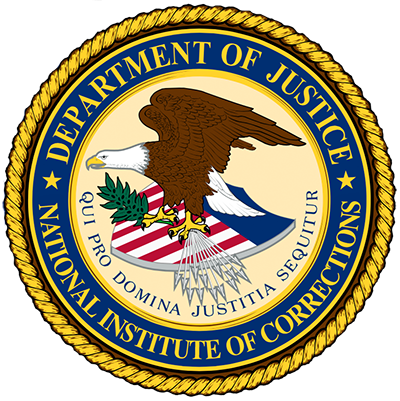 What is your approach to motivating inmates and your fellow officers to support T4C? My approach to motivating inmates enrolled in Thinking for a Change (T4C) is to engage in active listening, where I focus and listen to each of their goals. Throughout the program, I continue to remind them of their goals and provide feedback on how the inmates can achieve them by using the T4C tools. I have found that a combination of active listening, encouragement, and support increases inmates’ utilization of services provided through our reentry program. As a fellow officer, I understand the feelings my coworkers experience daily in our work environment. My approach to introducing T4C and motivating my coworkers is showing them how the T4C lessons can apply to our work and personal lives. My belief is that we must accept change within ourselves before we can help others change; this can be achieved by officers and inmates learning and speaking the same language of T4C.